As a batsman, Shastri was essentially defensive with his trademark "chapati shot" (a flick off the pads), but he could raise his strike rate when required. Due to his above-average height (he stood 6' 3" tall) and an upright stance, he had a limited number of shots against fast bowling, but was able to put the lofted shot to good use against spin bowling. Shastri played either as an opening batsman or in the middle order. The highlight of his career was when he was elected Champion of Champions in the World Championship of Cricket in Australia in 1985. In the same season, he equalled West Indian Garry Sobers's record of hitting six sixes in an over in first class cricket. He was regarded as a potential captain, but his image outside cricket, injuries and tendency to lose form at crucial times meant that he captained India in only one Test match. In domestic cricket, he played for Bombay and led them to the Ranji Trophy title in his final year of playing. He also played four seasons of county cricket for Glamorgan. He was forced to retire aged 31 due to a recurring knee injury. 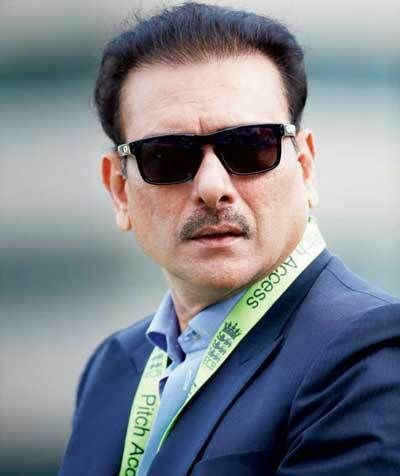 He now does commentary on behalf of BCCI in the matches that India plays. In 2014, he became the director of Indian cricket team for a period of eight months from India's tour of England till the 2015 World Cup. In July 13 2017, he was appointed as the head coach of Indian cricket team. 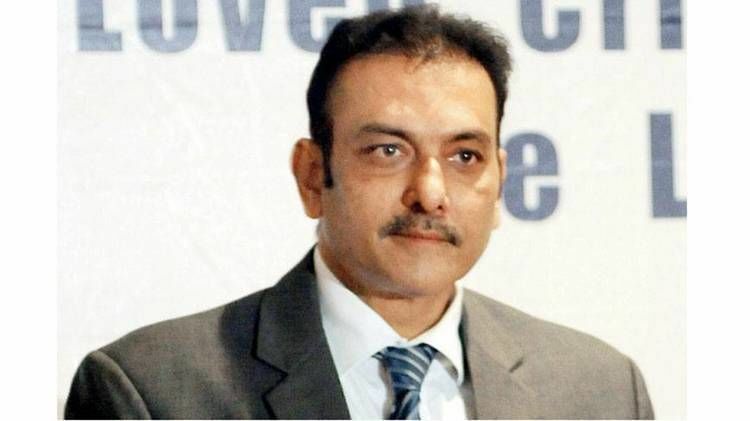 Ravi Shastri is of Mangalorean descent, was born in Mumbai and studied at Don Bosco High School, Matunga. As a teenager, he took to cricket seriously. Playing for Don Bosco (Matunga), Shastri reached the final of the 1976 inter-school Giles Shield, finally losing to St Mary's, whose lineup included two future Ranji players, Shishir Hattangadi and Jignesh Sanghani. The next year, under Shastri's captaincy, Don Bosco won the Giles Shield in 1977, the first time in the history of that school. At school, his coach was B.D. Desai, once a Tatas and Dadar Union player. While Don Bosco was not traditionally a major force in schools cricket, the R.A. Podar College, where Shastri later studied commerce, produced many good cricketers. Vasant Amladi and, in particular, VS "Marshall" Patil, were integral figures in Shastri's development as a cricketer. The Ranji final of 1984/85 turned out to be one of the finest matches in Indian domestic cricket history. A sleepy Gavaskar won the toss and batted. He could hardly close his eyes before Mumbai was 3 down for 42. Batting at No.5, he scored his 20th and last hundred in Ranji trophy and took Mumbai to 333. Shastri made 29 before he was bowled attempting to cut an arm–ball. Delhi was in early trouble before they were rescued by Chetan Chauhan, batting with a fractured finger in his last first class match. Ajay Sharma, in his first season, scored a hundred and took Delhi into the lead with nine wickets down. He scored hundreds in the quarter final and semifinal of the Duleep trophy, but West Zone lost to South on first innings lead in the latter match. Shastri's only other score over fifty in the season was a particularly dull 125 against Pakistan in the Jaipur Test. He did well enough to be the man of the one day series. In the first one-day match against Pakistan he captained India for the first time, scoring 50 and taking three wickets. He took four wickets at Calcutta and 69* at Hyderabad in two thrilling finishes. Later at Nagpur with India facing a big target, he scored 52 in 40 balls. In 1987, Glamorgan contracted Shastri to play for them. He stayed with them until 1991, with a break in 1990 due to India's tour of England. Shastri's presence did little for the fortunes of the county which finished at the bottom of the first class table in two of those seasons. Shastri topped 1000 runs in 1989 and scored hundreds in both innings against Middlesex. His best bowling performance of 7 for 49 (11 for 90) in the match came against Lancashire in 1988, where he got bounce and turn and was 'unplayable' according to Wisden. The almanack noticed that Shastri was already becoming reluctant to bowl. 1988 was by far the best of the seasons for Glamorgan in one day matches. They finished 5th in the Sunday League – up from 14 in 1987 – and reached the semifinal of the Benson & Hedges Cup. Shastri won the leading six hitter award for the Sunday league matches of 1988 with 14 sixes. He was part of the MCC team that played a Rest of the World team in the MCC bicentennial match at Lord's in 1987. Bombay breezed through the West Zone league of the 1993–94 Ranji trophy winning all four matches – a very rare feat – by big margins. With the Test players away, Shastri captained the young team in the knockout matches. Bombay defeated Haryana by an innings and 202 runs in the pre quarter final but ran into trouble against Karnataka in the next round. Against 406, Bombay lost their first six for 174, before Shastri and Sairaj Bahutule added 259 in six hours. Shastri's individual score was 151. Bombay survived the best part of the last day to win on first innings lead. Shastri scored 612 runs in the season and took 17 wickets at 15. Bombay went on to beat Bengal in a low scoring final to lift the Ranji trophy. It was their first championship since the famous win against Delhi nine years ago. Within eighteen months of his Test debut, Shastri had moved up from tenth position in the batting order to being an opening batsman. "His calm, sensible batting lower in the order", wrote Wisden, commenting on his first series, "raised promise of his developing into a useful all-rounder, and his fielding too was an asset". By the end of his career, he had batted in every position from one to ten. By his own admission, he ignored his bowling in favour of his batting. This was reflected in his performances. However, his figures of 9-101 in the season-opening 1981 Irani Trophy stood as a tournament record for nearly twenty years. In October 1984, India toured Pakistan for the third time in six years. The Lahore Test saw India collapse to 156 against Pakistan's 428, and follow on. India went into the last day trailing by 92 with six wickets in hand but were saved by a fifth wicket partnership of 126 between Shastri and Mohinder Amarnath. Shastri scored 71, while Amarnath made 101*. Shastri was even more successful in the next Test at Faisalabad, where he scored 139 and shared a stand of 200 with Sandip Patil. The last Test and the remainder of the tour were cancelled because of the assassination of Indira Gandhi. There were already signals that Shastri was being groomed as a future captain. Indian captain Sunil Gavaskar was coming to the end of his career and Kapil Dev, who had led India in the previous season, was expected to succeed him. Shastri appeared to be the next in line. 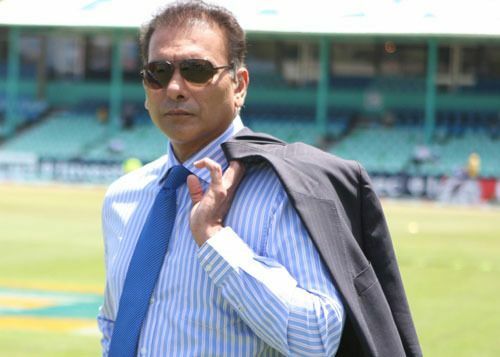 He led the Young India side to Zimbabwe in early 1984. Against the touring English side in November, he led the India Under–25 to an innings win - the first defeat of England in a tour match in India for fifty years. Around this time, Shastri also began to open the innings regularly in one day games. He scored 102 against Australia in October – India's second hundred in ODIs – and made the same score against England at Cuttack in December. Shastri had stood in for Gavaskar and opened with Srikkanth in two matches of the 1983 World Cup. The third time that they opened was at Cuttack and they set a world record of 188 for the first wicket. Later in the season, this partnership was to form the foundation for the Indian triumph in the WCC in Australia. Shastri's success continued in Test matches against England. In the Mumbai Test his 235 run stand with wicket-keeper Syed Kirmani led to victory for India. His 142 improved upon the 139 at Faisalabad as his highest score. Shastri set another record for Bombay against Baroda in a West Zone Ranji match. His first hundred came up in 72 minutes and 80 balls and included nine fours and four sixes. The second took just 41 minutes and 43 balls. His 123 ball, 113 minute 200* became the fastest double hundred in first class history, beating the previous record by 7 minutes, and included 13 fours and 13 sixes. Six of the sixes came off a single over of the left arm spinner Tilak Raj. In terms of the number of sixes, it bettered the 58-year-old Indian record of CK Nayudu who had struck 11 sixes against a touring MCC team at Bombay Gymkhana in 1926–7. Shastri's unfinished sixth wicket stand of 204* with Ghulam Parkar, who contributed only 33 to the partnership, took only 83 minutes. In Baroda's second innings, Shastri took two wickets in four overs. For his 182 runs and 8 wickets, Shastri was chosen as the man of the series which in this tournament was called 'The Champion of Champions'. He won an Audi 100 car for his efforts. By the special order of Prime Minister Rajiv Gandhi, Indian customs waived the heavy duty its import would have normally entailed. Two weeks later India won the Rothman's cup in Sharjah beating Pakistan and Australia. The victory against Pakistan was particularly memorable because India defended a total of only 125. Shastri and Siva continued their successful partnership with the ball. 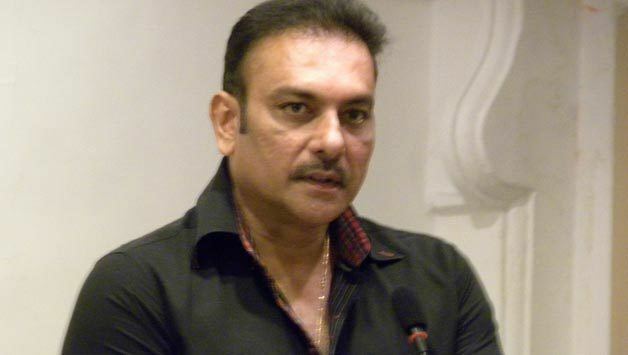 It was for this tournament that Shastri served as the Indian vice captain for the first time. Gavaskar had announced his decision to resign his captaincy at the end of the WCC before the tournament began. Before the final, former Australian captain Ian Chappell suggested that for the good of Indian cricket, Gavaskar should continue as the captain till Shastri could take over from him. In early 1987, he presented a 15-minute coaching series which went by the name 'That's Cricket'. This was aired on the national channel Doordarshan on Sunday mornings. There were even rumours of an involvement with actress Amrita Singh. India lost the final Test at Bangalore to lose the 1986–87 series against Pakistan. Kapil Dev was widely cricticised in the media for his captaincy. The selectors retained him as captain in the Reliance World Cup at the beginning of the 1987–88 season. Shastri failed with the bat in the Reliance Cup but formed a successful bowling partnership with Maninder Singh, another left arm spinner. India topped its group but went down to England in the semifinal. Kapil Dev received more cricticisms for skying a catch to deep midwicket when a win was still a possibility. India travelled to West Indies in early 1989. Though a failure overall, Shastri played the best innings by either side in the series. It came at Bridgetown in the second Test. India trailed by 56 in the first innings and lost the six second innings wickets for 63. Batting at No.3, Shastri was last out for a courageous 107 out of 251 allout. Looking back at the end of the his career, he was to consider this his finest innings. The bowlers were Malcolm Marshall, Curtly Ambrose, Courtney Walsh and Ian Bishop and the pitch, difficult. On the way back many of the Indian players took part in an exhibition match in United States. BCCI suspended the players. 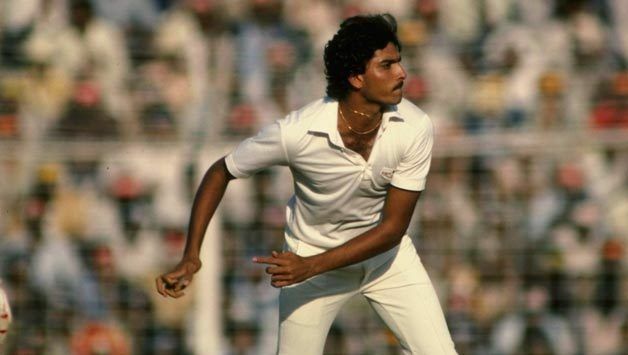 Though the suspension was later revoked, Vengsarkar was sacked. Srikkanth became the new captain and Shastri, yet again, the deputy. After an indifferent series in Pakistan, both were excluded from the tour of New Zealand in 1990. 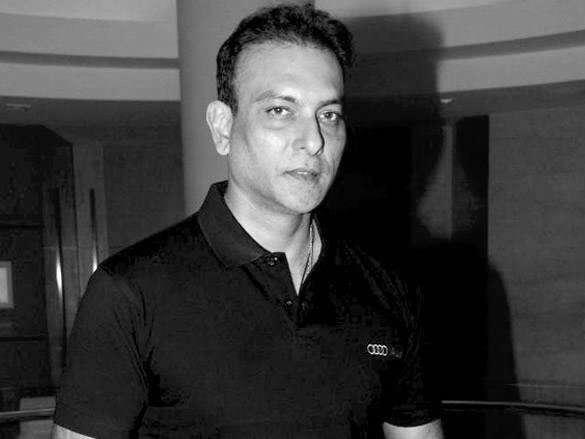 Azharuddin led an experimental team which a selector called the 'team of the nineties'. Within a few weeks, the phrase got the status of a joke. 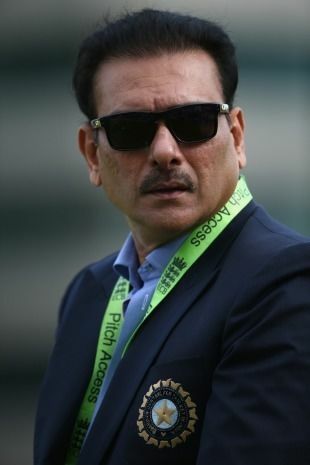 Shastri was recalled for the tour to England that summer as the vice-captain. Since 1985, Shastri's career had been in steady decline but he was able to turn it around in 1990. The pitches in England were good for batting and he scored two hundreds in the three Tests. He was now back as an opener. While India faced a huge England score at Lord's, he scored an exact hundred. It wasn't a faultless innings – too often he played and missed and most of the runs came with his usual flicks and nudges. He went to his hundred hitting the English spinner Eddie Hemmings for two fours and a six in an over, and departed immediately attempting another big hit. Watching Shastri bat is like admiring the Qutub Minar; tall, timeless, solid. You admire it for the virtues, not for its style. For nine hours and 21 minutes, he chiselled away the England attack and the sculpture that he left behind represented perseverance and craft. There was the usual stoic, expressionless face under the helmet, but you could see the determination in his eyes as he planted himself at the wicket, struck root and bore fruit. Only occasionally, the bat wavered in its resolve but the mind put it on the right path again, almost in admonishment, and the bat grew broader and straighter ... He may never be a Gavaskar, but he at least represents the great man's virtues, even if by proxy. It would be a relief too, to know that he will never throw away his wicket for nobody guards his crease more fiercely. Following the innings at Oval, Shastri scored his career best score of 217 in the Irani trophy in the opening match of the Indian season and a top score of 88 on a very bad wicket in the Chandigarh Test against Sri Lanka. He carried his bat for 101* against the same opponents in a one-day match a week later, reaching the hundred with a two off the last ball. Next year in South Africa's first-ever ODI series on their return to international cricket, he scored 109 at Delhi, his fourth and last one day hundred. A series of abandoned tours meant India played few matches at home at this time. Shastri took 5 wickets for 15 runs against Australia in an early match in the World Series Cup. It was then the best bowling figures by an Indian in ODIs. Most of the wickets were gratuitously earned, though – three batsmen were caught on the legside boundary and another stumped. In the third Test at Sydney, he scored his only double hundred in Test cricket, the first by an Indian against Australia. He was dropped in the sixties by the Australian leg-spinner Shane Warne, who was making his debut, off his own bowling. Amidst frequent interruptions by rain, he completed his hundred early on the fourth day and a six off Warne brought up the 150. He finally fell to a tired shot at Warne after nine and a half hours, scoring 206 with 17 fours and the two sixes, thus becoming Warne's first Test wicket. In the next season, South Africa hosted India for their first ever tour. Shastri opened in all four Tests and struggled to score runs. The only bright spot was a 16 ball 27 not out, in India's one day win at Centurion park. He had batted down the order in the one day matches of this series. In reference to the World Cup innings against Australia, he commented later that for once he knew what his exact role was. 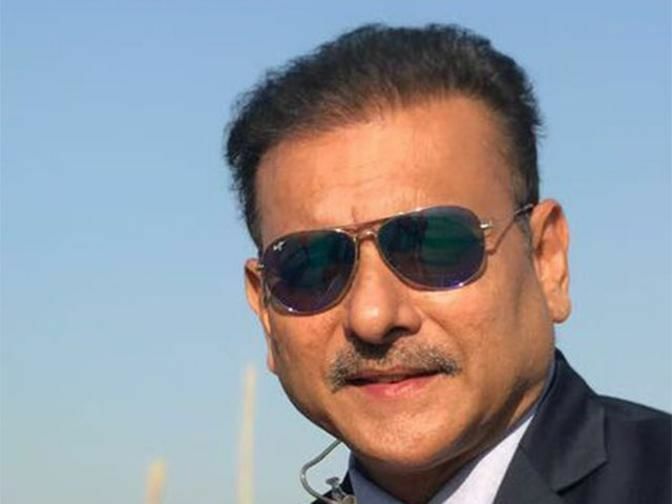 On July 2017 Shastri, the former team director, has been appointed as Head Coach for the national side by the Cricket Advisory Committee (CAC), comprising Sourav Ganguly, VVS Laxman and Sachin Tendulkar.